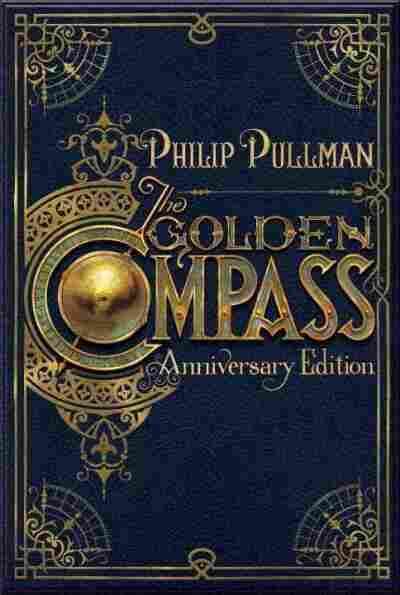 'The Golden Compass' Turns 20 (Its Daemon Has Probably Settled) Philip Pullman's beloved fantasy series traces the adventures of brave young Lyra Belacqua (and her daemon, Pantalaimon), through an alternate universe that occasionally spills over into our own. There is a special place in the canon for the truly sophisticated children's fantasy series — Tolkein, LeGuin, Lewis, L'Engle ... and Pullman. 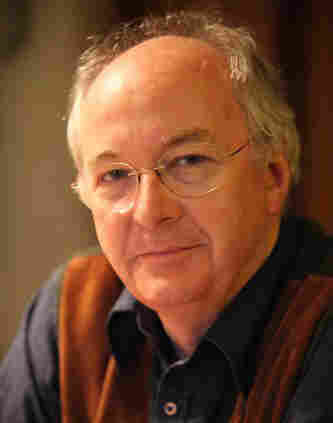 This year, the first book in Philip Pullman's famed His Dark Materials trilogy turns 20 years old. The novels in that series — The Golden Compass, The Subtle Knife and The Amber Spyglass — tell a kind of anti-creation story, the story of 12-year-old Lyra Belacqua, her daemon Pantalaimon, and their epic struggle against a church called the Magisterium. The books still inspire passion (and occasional Ph.D. theses), and — maybe the mark of real excellence — they're still banned now and then. Pullman tells NPR's Scott Simon that stories are the way to teach morality. "I'm not the first person to observe this fact, that people remember stories better than they remember commands," he says. "One of the greatest storytellers of all time, Jesus of Nazareth, told stories in order to make his moral teaching more memorable." We like hearing about people in circumstances or situations or problems which we can relate to in some way. And it's intriguing to see how people resolve the difficulties they're in, or inspiring to see them overcoming hostility and difficulty, and even outright hatred. Yes and no. Yes, in that I'm quite familiar with how children of 11, 12, 13 behave, think, talk and play. But also no, in that I don't write for a particular age range, or for any audience in particular. I write the story in the way the story seems to want to be told. My first audience — my most important audience — is myself. And after that, it's on its own, it's got to find its own audience. They're just on the cusp of a new complete self. They're discovering in what way they're different from their family. I often think that our life begins when we're born, of course — but our story, our particular story begins in that moment, usually in our adolescence, when discover that we've been born into the wrong family by mistake, and we need to leave home and find our own way of doing things. And that means learning all sorts of new ways of seeing the world, learning about science, about philosophy, about art and music and so on, and literature. It's a very exciting age because of this sense of huge discovery. When I wrote Lyra, I wasn't so much inventing as discovering, and I didn't so much set to write a strong female character in order to make a kind of political point. It was more that Lyra entered my mind, and intrigued me, and wouldn't leave me alone, and I just wrote the story about her. I'm very glad if it's provided girls — and boys indeed — with someone to like and admire, and indeed, provided quite a number of parents now with a name for their new baby daughter.